AS OF NOW, WE DO NOT OFFER CLASSES IN MANHATTAN. 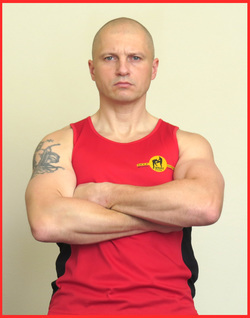 Emin Boztepe Martial Arts System offers unique self-defense training based on two ancient martial arts styles -- Chinese Wing Tzun Kung Fu and Filipino Latosa Escrima. We follow in the footsteps and teachings of the leaders of EBMAS, Dai Sifu Emin Boztepe and Grandmaster Rene Latosa. All of our Latosa Escrima and Wing Tzun Kung Fu Instructors are certified EBMAS Instructors. Our philosophy is to educate students about the concepts of Wing Tzun and Escrima and to show that what we teach works because pure science is the basis for any successful martial art. Our classes are open to anyone who is interested in learning a realistic and scientific system without secrets, and who is willing to sweat and train hard. We are the best because we are not like the rest. TRAIN LIKE YOU FIGHT AND YOU WILL FIGHT LIKE YOU'VE TRAINED. Copyright © 2012, Sifu Zsolt Boka. All rights reserved.